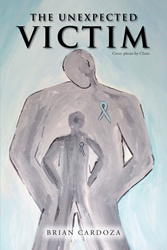 Recent release “The Unexpected Victim” from Page Publishing author Brian Cardoza is a recounting of the traumatic abuse he was exposed to as a child, and his tremendous journey to recovery. Cardoza, an inspirational speaker, author, and artist, has completed this new book “The Unexpected Victim”: written in the form of a long letter to his six-year-old self, reliving the experiences which could have destroyed him, but served to inspire endurance instead. “Don’t let this moment dictate the next moment,” is Cardoza’s powerful creed, and it has allowed him to write this book which serves to both provide solace to victims of abuse, and also educate those who have not been exposed to it first-hand. Published by New York City-based Page Publishing, Brian Cardoza’s uplifting message in “The Unexpected Victim” is about a human phoenix; one whose body and soul was meant to be crushed but instead became stronger than before. According to his website, http://www.brokenkneeclub.com, Cardoza is the founder of the Broken Knee Club, a nonprofit organization created “to provide a safe haven for all sexes to comfortably speak out about their experience of childhood and adult sexual assault.” In addition to this, Cardoza uses art as a means of therapy with his other program, Survivor Knights, through which victims of sexual abuse can endeavor toward revival. Readers who wish to experience this touching and illuminating work can purchase “The Unexpected Victim” at bookstores everywhere, or online at the Apple iTunes store, Amazon, Google Play or Barnes and Noble.